The Remington 700 is still considered by many to be the most accurate out of the box rifle ever made and the standard by which all other bolt actions are measured by. The ADL Bolt Action Rifle is built on the legendary tradition of the iconic Remington 700 and it does not disappoint! It's chambered in .243 Winchester and has a 24" stainless steel barrel with a 1:9.125" twist. The internal blind magazine holds 4 rounds of hard hitting ammunition and it has a light weight synthetic stock with a blued finish. The rock solid receiver is drilled and tapped for scope mounts and houses the X-Mark Pro Trigger that breaks like glass. This package includes a 3-9x40mm factory installed and bore sighted scope so you're ready to go right out of the box. 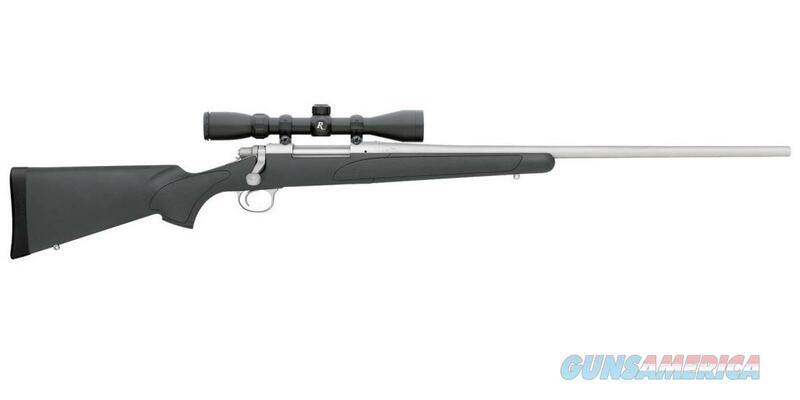 The Remington Model 700 ADL is the A Grade Deluxe workhorse you are looking for in a long range bolt action rifle.